One of the best solutions available for commercial storage in Seekonk and the surrounding Southern New England area is warehouse storage. Commercial storage in Massachusetts comes in many forms: portable container storage through United Mayflower Container Services, self-loading mobile storage through Go Mini’s mobile storage company, and warehouse storage, which is provided through moving companies in Massachusetts, such as Conlon Moving & Storage. There are many benefits to using commercial warehouse storage for your business and there are also many reasons why businesses rely on warehouse storage for their assets. Before you decide to start using commercial storage in Massachusetts, it pays to have a greater understanding of how it all works. The basic function of commercial storage in Seekonk, MA is to store your business assets, such as excess furniture, products and other surplus items that you don’t have room for on-site at your location. This can include merchandise, files, and documents for records retention, office supplies, computer equipment, and many other common items. 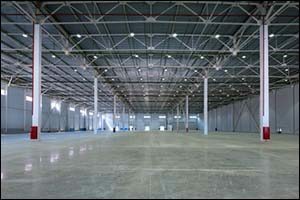 Warehouse storage is a secure storage location. The only people who have access to our facility include our own in-house moving companies in Massachusetts, Rhode Island, and Connecticut. We use this type of storage for commercial clients, long-term residential storage clients, trade show logistics storage, and other specific types of storage solutions. A set rate is given for storage, whether on a temporary or long-term basis, allowing you to control your overhead while maintaining a secure and private storage solution for your business assets. Our commercial storage in Seekonk, MA boasts over 50,000 square feet of warehouse space for our clients to use for storage. We have separate warehouses for our commercial and residential storage in Massachusetts to ensure the best possible safety and security for all involved. Compared to other methods of storage there are definite benefits to using warehouse storage at our facility for commercial storage in Massachusets. Both of our warehouses are equipped with sprinkler systems, alarm systems and have 24-hour security monitoring services, as well as all of the necessary safety equipment. Our clients can feel secure with the knowledge that all of their stored items are being kept and protected in a professional and safe environment. Quick Access to Products – If you are using commercial storage in Massachusetts to safeguard surplus products or merchandise, you can have quick access to your stored items just by contacting our service. Because we are also a mobile storage company, you can use our mobile options to keep stock items on-site at your location or have them stored securely at our facility. Supply of Raw Materials – Another common use for commercial storage in Massachusetts is keeping raw materials on-hand for the production of goods. Whether these raw materials consist of literal raw materials or parts that are used in manufacturing depends on your needs. Having access to these materials as-needed helps to keep your business supplied without over-stocking your on-site warehouse or manufacturing areas. Seasonal Storage Options – You can work with moving companies in Massachusetts to ensure that you safeguard seasonal items, such as decorations and displays for consumer-based businesses; equipment and tools for service-based businesses; marketing and promotional items, packaging, shipping and other season-specific assets can all be stored securely in our commercial storage in Seekonk, MA. Low Overhead – Compared to other storage options, the low and consistent costs for using warehouse storage can help small and growing businesses to control overhead while allowing them to keep products, materials, equipment, and tools close and accessible without having to store them on-site. This helps them to use every square inch of their retail store or service shop, while still maintaining a healthy supply. Safe Handling – Our commercial storage in Seekonk, MA is maintained by our team of experienced and highly trained warehouse operators. Custom crates are created and high-powered machines are used to help handle the goods safely and securely. This helps to prevent damage and reduces handling costs due to labor. If you are in the market for warehouse storage solutions or other types of commercial storage in Massachusetts, Rhode Island or Connecticut, contact Conlon Moving & Storage at 508-336-7766. We can provide you with a variety of solutions for professional businesses at our warehouse and mobile storage company. Choose from on-site warehouse storage at our facility for commercial storage in Seekonk, MA. Because we operate as professional moving companies in Massachusetts, we can also offer you mobile, records retention and moving services for re-locations in Southern New England and all around the globe. Call today for a FREE estimate on any of our commercial services.